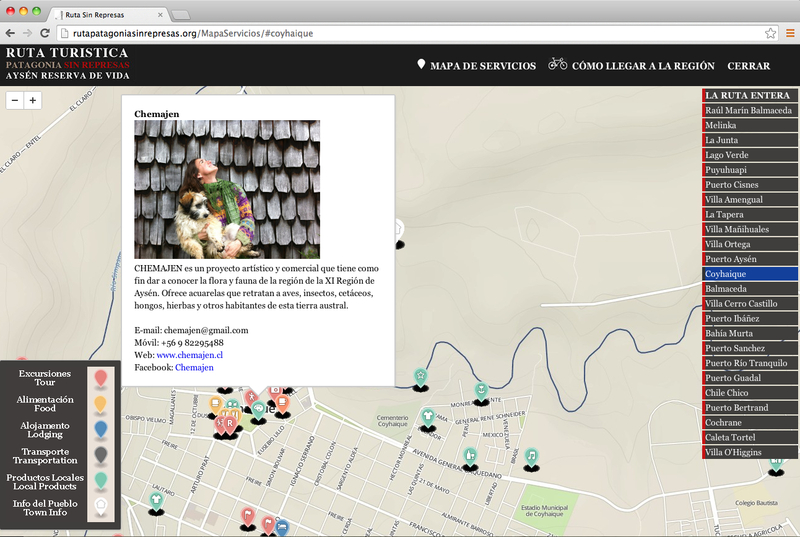 I just finished building an interactive map for the Ruta Turistica Patagonia Sin Represas. This is a great project that provides a promotional and logistical platform for small businesses in Northern Chilean Patagonia that are against a mega dam project that would threaten local eco-businesses in the region. The aim of the project is to both promote local businesses that do not have the resources to build their own website and to show the vibrant presence of the over 160 anti-dam businesses in the area.